BEMAC is thrilled to announce that as part of our new BEMAC Presents series, we are bringing Tuareg guitarist and singer Omara ‘Bombino’ Moctar to Brisbane for a live show at The Foundry on Thursday, 15 November. Our new BEMAC Presents series sees BEMAC partner with venues, agents and artists to bring Queensland some of the best international and national shows and artists to venues around the city. Following the release of his fourth consecutive #1 album ‘Deran’ earlier this year, Tuareg guitarist and singer Omara ‘Bombino’ Moctar who is currently on a massive European tour has announced Australia as his next tour destination. Travelling through QLD, NSW, TAS, SA & VIC across seven dates, and headliner of this years Mullum Fest, Bombino will bring his captivating band to Oz performing a set list of classic favourites alongside the all new Deran. 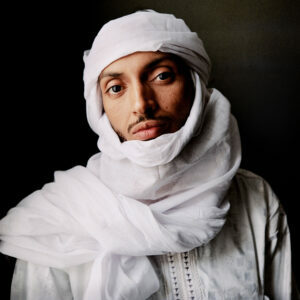 Born in the shade of an acacia tree about eighty miles north west of the ancient town of Agadez, Bombino has a deep connection to his home. While in recent years the rest of the world has largely written off Tuareg as a hot and savage Sahara wasteland, a bolt hole for religious extremists and terrorists with little to offer apart from the oil, gold and phosphates that lie beneath its soil, Bombino would like us to take a closer look and think again. His feelings are beautifully summed up in the song “Tehigren” (‘Trees’) from Deran, ‘Do not forget the green trees / In our valleys in the Sahara / In the shade of which, / Rest the beautiful girls / Radiant and lovable’. “We’re a people who wish for peace,” he says. Bombino first came to international prominence via his second full length album Nomad back in 2013. The album was recorded with Grammy Award-winning Producer Dan Auerbach of The Black Keys and debuted at #1 on the Billboard World Music album chart, earning rave reviews from top media outlets all around the world. 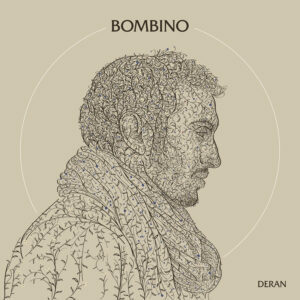 His new album, Deran (2018, Partisan Records), recorded at the King of Morocco’s studio in Casablanca, is Bombino’s strongest and most well-rounded album to date. It earned him a prominent feature in the New York Times and yet another #1 on iTunes and Amazon World Music Charts. Bringing people together seems to be one of Bombino’s natural gifts. In Europe, North America, Japan, China, Australia, even most recently, Argentina and Chile, the grainy hypnosis of his horizontal grooves, the virtuosity of his guitar style and aerobic explosiveness of his stage shows have hooked a broad gamut of fans ranging from grey-bearded rock and blues habitués, to world-music devotees to young hirsute hipsters – broad enough to include the Rolling Stones, Arcade Fire, Queens Of The Stone Age and, of course, the Black Keys.